An article about the Buffalo new music scene will be included in the upcoming issue of Music Works Magazine (#116) and will include a recording of Cort Lippe's Duo for Cajon and Computer. Come check out Zeitgeist with Nirmala Rajasekar June 28 & 30 as a part of the Twin Cities Jazz Festival at Studio Z. 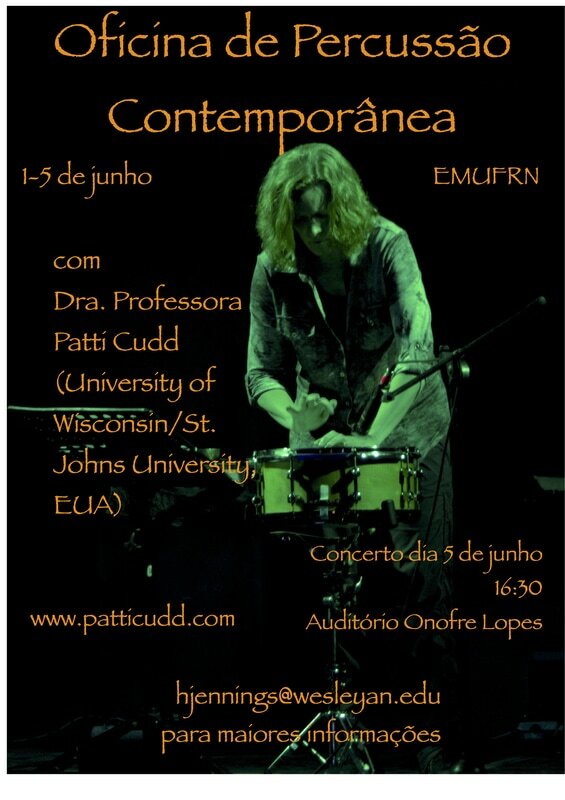 Here is the poster Richard Dudas made for my June 5th concert with Pete Furniss at Hanyang University in Seoul, Korea. Thanks Richard!